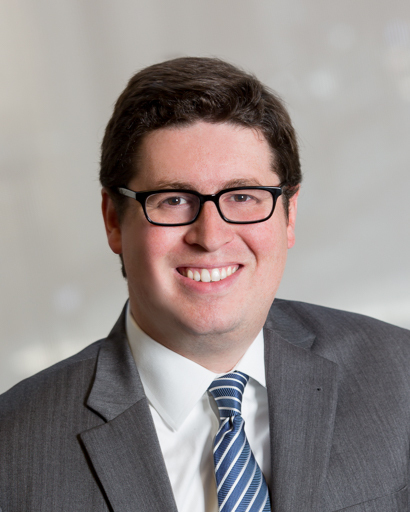 Jeffrey Schwartz has worked at Kralovec, Jambois & Schwartz since 2006, first as a law clerk and currently as an associate attorney. Jeff’s practice is dedicated to representing victims in medical malpractice, automobile negligence, and premises liability litigation. He has obtained outstanding results in counties throughout the state of Illinois, resulting in millions of dollars recovered on behalf of his clients. His trial experience includes cases involving medical malpractice, automobile collisions and declaratory judgment regarding applicability of insurance coverage. Additionally, Jeff has successfully briefed and argued a case before the Illinois Appellate Court. As a result of his achievements, Jeff has been recognized by Super Lawyers Magazine as a Rising Star, a recognition given to the top 2.5% of attorneys in Illinois under the age of 40. Jeffrey grew up in Glen Ellyn, Illinois and received his B.A. from Illinois Wesleyan University and his J.D. from John Marshall Law School in Chicago. $1,400,000 for failure to diagnose neonatal pneumonia resulting in the death of an infant. $1,300,000 surgical malpractice case resulting in the death of an infant. $600,000 for a victim of sexual abuse. $325,000 for a woman who suffered soft tissue injuries in a rear-end trucking collision. $325,000 for a pedestrian who suffered post-traumatic stress disorder after being struck by a bus. $310,000 for a woman who suffered a broken hip after tripping on loose carpet.